She is specifically looking to Jack Link’s and Conagra’s recently acquired Duke’s brand for product diversity and innovation because “they’re doing some very interesting stuff” such as Jack Link’s Tender Bites and a meat bar, both departures from the brand’s top-selling stick and Duke’s Shorty Sausages in “cool flavors” like chorizo lime and tomato basil. Also, newer brands such as Jack Link’s-owned Larissa’s Kitchen are creating their own niches with younger and female consumers by using brighter packaging, calling out health benefits such as high protein and low carbs, and offering unique flavor profiles, said Bettencourt. Targeting consumers who are more health-conscious and/or adventurous of palate are jerkys that are positioned as more upscale and gourmet such as Hershey’s Krave brand meat snacks and the small but growing Perky Jerky brand, said Roccagli. And, he added, snackers looking for a serious kick in the tastebuds are finding it in the pickled sausage offerings from Penrose, another Conagra brand. These snacks flaunt their bold flavors with names like Big Mama, Tijuana Mama and Firecracker. 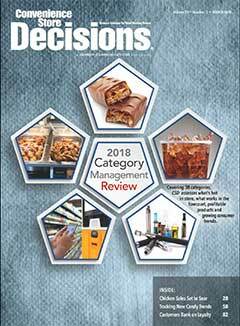 While flavor is certainly a major factor and attention to the “better-for-you” positioning by some brands is drawing in new age and gender demographics, for most customers, the convenience of meat snacks is their main selling point. To maximize customer exposure to the wide array of meat snack options, Roccagli recommends displaying them on an end cap as well as inline displays. “On an end cap, the dollar density [sales per square inch] is huge,” he explained. In half of her stores, depending on the percentage of sales the category accounts for and customer traffic flow, Bettencourt displays meat snacks on end caps. If there is one thing Bettencourt would ask of suppliers and brokers, it would be that they provide more information about the markets and customer bases surrounding her stores.